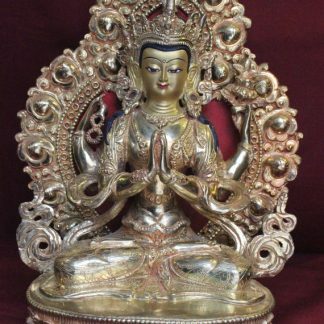 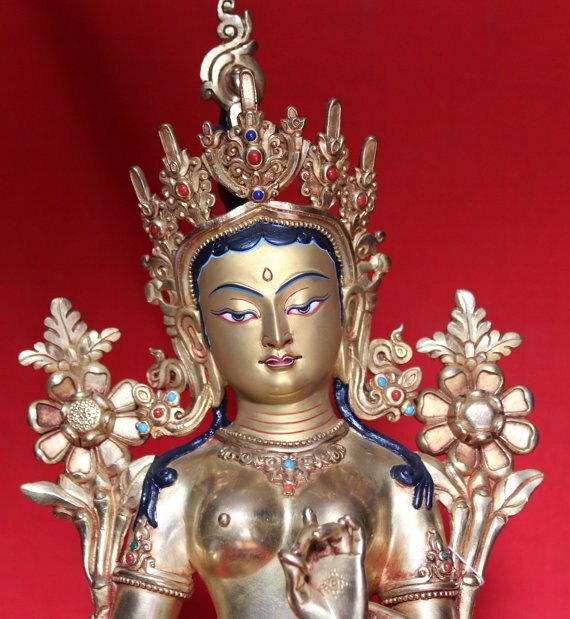 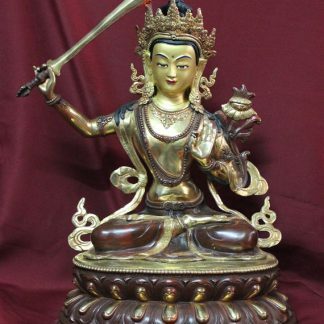 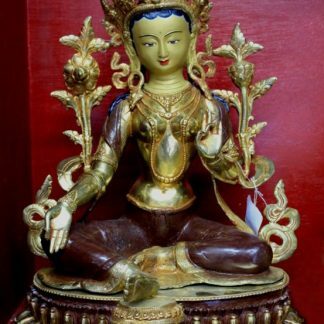 This is one of a kind Standing Tara designed to place in living room or meditation altar of home, monasteries, dharma centers and even in places like garden,Yoga Centers and Hotels for decoration. 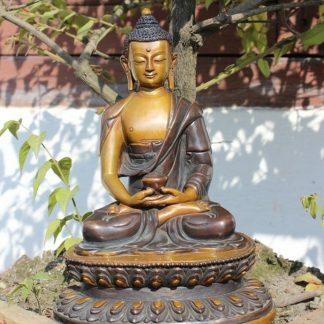 You’ll find different kinds of Buddha Statues made from various materials like Copper, Bronze, Brass, silver, wooden, resin, very statues etc. 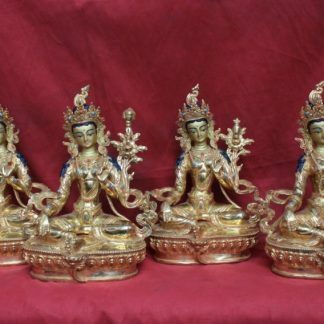 They can also come in full or partial gold plating. 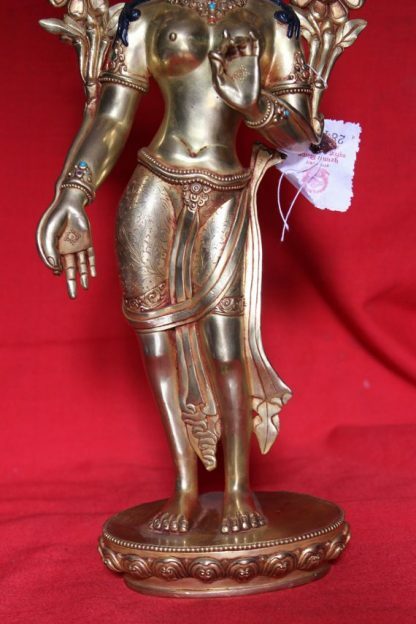 Or if you like antique style then real antique or antique reproduction statues are also available. 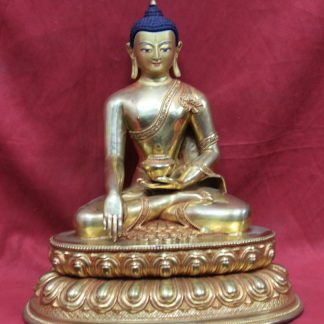 Sculpting Buddha statue is a lengthy process which requires great skill and time. 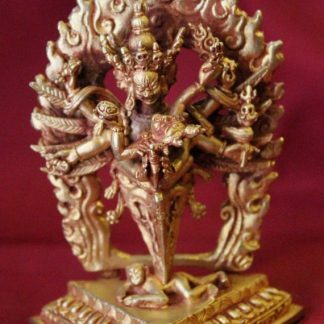 Sculpting of a large piece can take up to 6 or even more months and several artisans to work on it for accomplishment. 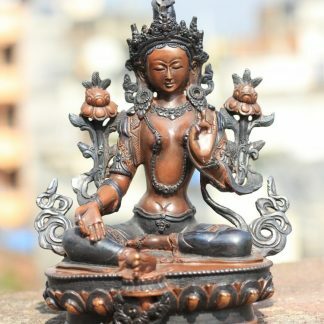 In ancient times, the methods of making statues were kept secret among few families in Patan, Nepal.